Today, The Lorax opens in theaters nationwide. In addition to my love of the Suessian tale on which the movie is based, I'm also excited to see the movie because it's coming from the amazing minds of the folks who brought us Despicable Me, one of my favorite movies of 2010. 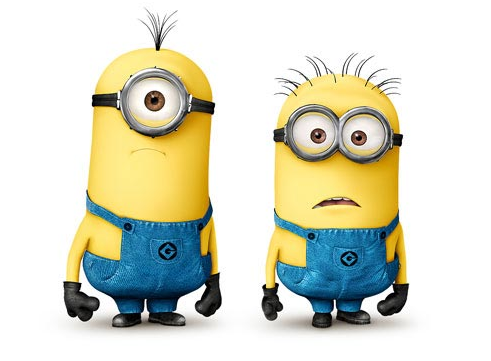 So imagine my delight and jubilation yesterday when I saw a teaser trailer for the upcoming sequel to that animated gem, Despicable Me 2! Now, when I say "upcoming," I mean it's actually not coming out for almost a year and a half. But with any luck, teasers like this one, which features the Minions singing their rendition of the Beach Boys classic hit "Barbara Ann," will continue to pop up until the 2013 release date. Fun Fact: the voice of the Minions, Pierre Coffin, is also the director of the films. In addition to returning stars Steve Carrel and Jason Segel, Despicable Me 2 will also feature the voice acting of the great Al Pacino.